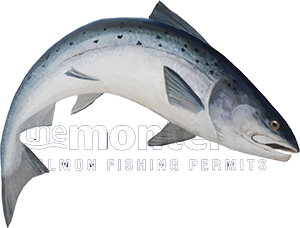 Having the ability via a professional salmon fishing agent who can tailor your fishing trip to include additional services is always going to provide a far superior 'client experience'. Over the decades I've had many requests for extra riverbank services from 'grid references' for helicopter landings to distant pipers on the hill. Thinking outside the box and rapid delivery action have always been 2 of my strong points and you'll no doubt observe some of these traits in these daily newsletter postings. I personally cannot stand anything that hinders or gets in the way of the progress of Scottish salmon fishing as this pursuit is far too special to Scotland for hinderance of any kind. On another personal note I see the Scottish rivers and their aquatic contents as the most attractive natural assets in the world which need to be treated accordingly by anyone who dares to step up to the mark as their representative. The old analogy 'lead, follow or get out of the way' keeps coming to mind. Four weeks and I'm already counting down the days to the start of the 2018 River Tay salmon fishing season and what a fantastic thing that will be to be back out in pursuit of our spectacular Spring salmon. They really are so special 'visually & powerfully' and an encounter with one via a 15ft length of carbon fibre even more so. When you're booking your Scottish salmon fishing this year take note of my salmon fishing credentials as I not only 'talk the talk' but have indeed 'walked the walk too'. Follow the above link for a few hard facts as to what I'm referring to as it all has been a truly marvelous journey being involved and fully committed to such a fascinating pursuit for such a big part of my life. There's back seat drivers in all walks of life but if you want the real deal batting for you and organising your Scottish salmon fishing then look no further as my professional experience has been gained in this business over 4 decades therefor miles ahead of the rest of the pack. This experience is the end product of unbeatable 'hands on' salmon fishing career duties and not just back seat office based theory.